with 2010 ending, let’s make 2011 lucky! 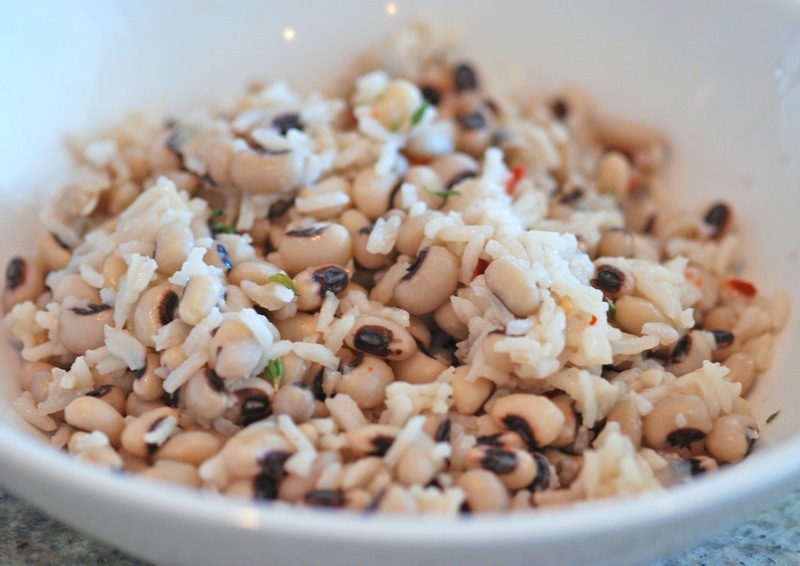 there are certain actions that supposedly start the new year off right, one of the most famous being to eat hoppin’ john on new year’s day. hoppin’ john is a variant of beans + rice, with black-eyed peas, bacon or ham hock, + white rice. black-eyed peas are lucky because they supposedly resemble coins, thus bringing prosperity + general awesomeness for the new year. here are some other things that are supposed to make for a lucky new year. more luck can’t hurt, right? – smooch someone at midnight on new year’s eve (but only if you really dig them). – after midnight, open your home’s doors. this lets the old year out + makes room for the new year. – add more lucky foods to your new year’s day meal, especially anything that resembles coins/money. i make wilted spinach or collard greens with my hoppin’ john + sometimes sear up scallops, because they look like giant coins. right? sure. the first person through the door after the stroke of midnight should be a tall, good-looking, dark-haired man. he has to knock + be let in – not use a key to enter. he ideally carries a piece of coal (the house will always be warm), bread (the house will always have food), money (obvious), + greenery (for long life). the first-footer brings extra luck if he happens to have a high instep or comes on a horse. high instep? a horse? now you’re just being picky, new year. what are your new year’s eve/day traditions? anything fun or unusual? the time-tested countdown + champagne toast? i’ll be new year’s eve toasting with bubbly, then eating delicious hoppin’ john on new year’s day with my dark-haired, good-looking, high-instepped (maybe?) first-footer. see y’all in 2011 – happy new year! heat oil in a large pot, add the ham hock + sear on all sides for 4 minutes. *if you prefer to use bacon, saute bacon until almost crisp, then pour off all but 1 tablespoon of grease. add the onion, celery, + garlic, cook for 4 minutes. add the black-eyed peas, stock, bay leaves, thyme, + seasonings. bring to a boil, reduce the heat + simmer for 40 minutes, until the peas are creamy + tender, stirring occasionally. if the liquid evaporates, add more water or stock. adjust seasonings, + garnish with green onions. serve over steamed white rice. 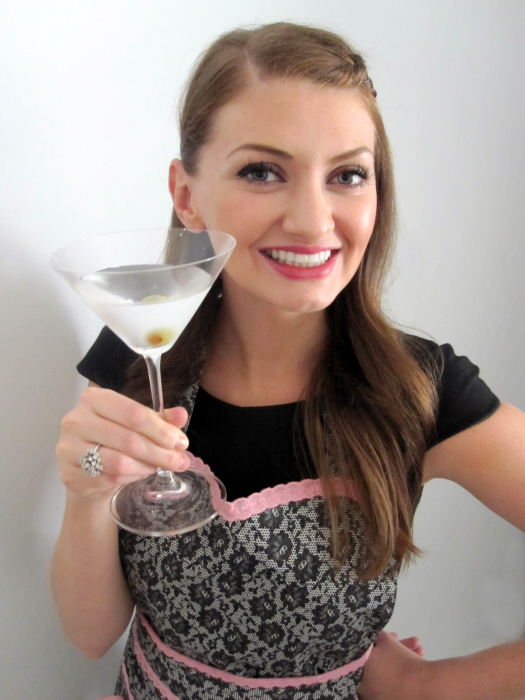 photo courtesy of cookthink.com – will be replaced with my own pic on new year’s day! my family has always made pork and sauerkraut (and a big helping of mashed potatoes on the side for new year’s. it’s a pa dutch tradition and i’m from there originally. it’s supposed to bring good luck! I love black eyed peas on Jan 1. We always make it Indian style, so we have a spiced black eyed pea soup that we eat with rice and then collard greens sauteed with onion, garlic, turmeric, green chilies, and coriander seeds. Same ingredients, but in a new way! oooh, that sounds great! you know i love indian food, so i think it might be fun to try the traditional blackeyed peas/greens with indian seasonings (like you do) next year. do you have a recipe for the soup posted on your blog or do you just wing it as you go along? thanks for the awesome idea, vivek, + happy 2011!